It's no secret that I love audio books. There have been many a time when I've started an audio only to realize that I would enjoy the book better reading it myself. There has also been times when the reader just destroyed the experience. 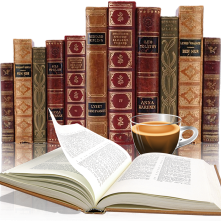 The reader can make or break a really good book. A Tree Grows in Brooklyn was an audio book for me, purchased from audible. Carrington MacDuffie is the reader and she did an absolutely fantastic job. It had the right pace, the right speed with the perfect amount of emotion. The reader could only performer like that with an outstanding book. 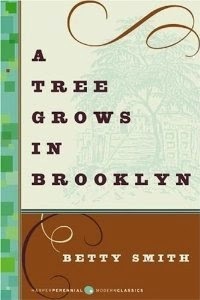 A Tree Grows in Brooklyn was that kind of book. I finished that book mourning the lose of a family that I grew to love. But the book just isn't about her but the whole family, it's about relationships, commitment and dedication to each other and self. This is a wonderful coming of age book that I encourage everyone to read, definitely could see myself rereading this one. There were so many wonderful quotes in this book, I had to limit myself. I remember seeing this old movie on TV when I was very young. I don't remember the story, but I do remember the movie intrigued me. I should pick up the book.